(RFA)- Authorities in Beijing are questioning a prominent rights lawyer who had been following the plight of thousands of migrant workers and their families after schools providing education for their children were demolished. “I heard this morning that Xu Zhiyong was taken away for a cup of tea by the national security police at around 10:00 a.m.,” fellow rights lawyer Peng Jian said on Thursday. Chinese students to be screened for ‘radical’ thoughts, Professor: Aren’t we going back to the days of the Cultural Revolution? Posted in Beijing, China, Education, News, Politics, Student, World | Comments Off on Chinese students to be screened for ‘radical’ thoughts, Professor: Aren’t we going back to the days of the Cultural Revolution? BEIJING — Nearly 100 children were hurt in a stampede Monday at a primary school in China’s far-western Xinjiang region but no deaths have been reported, state media reported. Washington (CNN) — A record number of students from China are attending college in the United States, a new report says. The total number of foreign students in the United States increased by 2.9 percent, to 690,923, during the 2009-10 school year, according to an annual report on international academic mobility. More Chinese students held “anti-Japanese” protests in several cities—all far away from Beijing—last weekend, after tens of thousands had taken to the streets on the previous weekend. And while these protest marches were not as large, the focus at some of them has begun to shift from the disputed Diaoyu Islands toward China’s domestic problems. The son of a high-ranking security official killed a female student and hit another while driving drunk on the campus of Hebei University on Oct. 16. Li Qiming, the driver, kept going after hitting the students, and after he was pulled over boasted that his father was a public security director. Students were angered by the incident, many demanding punishment for the driver. BEIJING — A Chinese teenager was allegedly beaten to death at a boot camp for troubled youths that his mother had lured him to attend by promising he was going to study IT, state media said Thursday. Chen Shi, 16, died two days after enrolling in Beiteng School in Changsha, capital of central China’s Hunan province, having been beaten up when he refused to run during training, the Beijing Times reported. According to witnesses, an instructor — helped by two others — beat him with a plastic pipe, handcuffs and a wooden baton when he refused to run. The death of a seventh-grader, Luo Yunfeng, two days after he received measles vaccination escalated the anxiety and distrust of parents of Chinese government’s latest proposal – to vaccinate 100 million children. That plan has led to public outcry that highlights widening public distrust of the authoritarian government after repeated health scandals. Internet comments allude to a conspiracy theory – the people are worried about the safety of such widespread vaccinations. Is the medicine safe? Is it counterfeit? Is it dangerous? The state media has even covered public skepticism, which noted the lack of trust was about more than vaccines. HONG KONG— Officials in the southern Chinese region of Guangxi are investigating the death of a high-school student who recently received a measles injection as part of a nationwide vaccination program. Luo Yunfeng, a third-year student at the Longcheng No. 1 High School near Beiliu city in the Guangxi Zhuang Autonomous Region, died suddenly on Friday, just two days after receiving the measles vaccine. BEIJING — Nearly 20 middle school students have been diagnosed with cholera in eastern China, the government has said, in the second outbreak of the potentially fatal disease in the nation in a month. A total of 19 cases have been detected at a school in Huaian city in Jiangsu province, prompting health authorities to issue a warning for the region and urge increased disease monitoring, the Jiangsu government said Thursday. The students began falling ill on September 2, displaying common symptoms including fever, abdominal pain and serious diarrhoea and vomiting, it said in a statement. The city is on the border with Anhui province, where authorities covered up a cholera outbreak for 12 days last month out of fears that publicising it would shock the local population, state media said earlier this week. The Anhui health department acknowledged Tuesday that at least 38 people in the province had been sickened with cholera since August 16, with all patients already out of hospital and no new cases discovered this month. Cholera can be fatal if not treated quickly and normally breaks out in impoverished regions with poor sanitation. Reports of cholera in China have become increasingly rare in recent years. It was not immediately clear if the strain of cholera found in Anhui was the same as the one detected in Huaian. Beijing – At least four children died and 12 others were stabbed in an attack at a kindergarten in eastern China’s Shandong province, reports said on Wednesday. The attacker, who was armed with a knife, burst into the unnamed kindergarten in Shandong’s Zibo city Tuesday afternoon, the Hong Kong-based Information Centre for Human Rights and Democracy quoted a local police official as saying. The attacker later surrendered to police, Hong Kong newspaper Ming Pao reported. Chinese state media did not immediately report the incident, which is the latest in a series of attacks at schools and kindergartens in China this year. At least five similar attacks have been reported, resulting in the death of dozens of children and several teachers. Following the earlier attacks, the government ordered a review of security at schools, while state media have discussed possible underlying causes of the attacks. “Apart from adopting forceful security measures, we also need to focus on addressing some deep-rooted causes behind these problems, including handling some social contradictions, resolving disputes and strengthening the role of grassroot mediation,” Premier Wen Jiabao told Hong Kong-based Phoenix TV in May. Beginning today, expect to see throngs of flag-waving Chinese on Parliament Hill and lining the streets of Ottawa where Chinese leader Hu Jintao will visit the next three days. According to an official at the Chinese embassy in Ottawa, staff there have been working late into the night and spending lots of money to ensure Mr. Hu is met with a crowd of passionate supporters, not those protesting human rights abuses. The Epoch Times has obtained a recording of a speech given Friday by Mr. Liu Shaohua, the first secretary of the education section at the Chinese embassy in Ottawa, to a crowd of between 40 and 50 students receiving Chinese state-scholarships to study there. Those students, Liu says, must attend the welcome events for Hu. In the recording, Mr. Liu says the embassy is covering hotels, food, travel, and clothing for what he estimates will be 3,000 people who will welcome Mr. Hu Wednesday through Friday, coming from as far away as Waterloo, Ont. The expenses easily total in the hundreds of thousands, based on Liu’s comments. But Mr. Liu describes it as “little money,” in light of the “political struggle” the Chinese regime is waging, the goal being to overshadow human-rights advocates who plan to protest during Hu’s visit. “These last few days, everyday, we have been busy until 11 p.m. or midnight,” Liu explained. Liu said students who were not on state-sponsored scholarships also had their expenses for the trip covered. The “political struggle” Liu refers to appears to be the presence of groups protesting human rights abuses in China. Liu makes reference to Tibetan, Uyghur, and democracy activists, but focuses mainly on Falun Gong, a spiritual group persecuted by the communist regime in China. iu says when Hu visited in 2005 and was met with protesters, officials in China were furious. He complained that during that visit, Canadian authorities did not co-operate with Chinese demands regarding the protesters, but this time he says there were some limited guarantees. According to several sources, including Chinese students themselves as well as online notices on bulletin boards, all Chinese students will be provided with transportation, meals, and free T-shirts. Some have said there have been promises of $50 per day compensation as well. University education in today’s China was developed to protect and strengthen the CCP’s regime. The regime calls this education system the “national industry to produce talented people.” However, its true purpose is to support the regime. Who benefits in today’s China? Take a look at the upper echelons of the Party. All the people in that group have graduated from universities. Phony Ph.D.s are rampant in today’s China. The CCP has changed its tactics. In the past, if senior cadres were criticized for not doing the work of running the country, they would say that they had created the state, so why do they need to work? In today’s China the rulers are still exploiting the wealth of the nation while failing to fulfill their duties. They continue to produce a class of degenerate intellectuals who are more cunning and also more ruthless than their predecessors. The university system is being used to educate the regime’s political, economic, and cultural elites as well as other levels of lackeys to flatter the CCP and perform as executioners for the CCP. For a period of time, some key universities all had the task of “recruiting talent for the Party.” The so-called “Party cadre,” “the second echelon,” and “the third echelon” came into play. Many university students became “echelon candidates” two years after they entered universities. Students themselves all know they are “successors for different levels of leaders in the Party and its organs.” During their time at school, “the second echelon” often has “private lessons.” It can be said that what they receive is an education and training in authentic, traditional Party culture. Every university and college in mainland China is requested by the Central Propaganda Department and the Committee for College/University to operate an “Amateur Party School.” It organizes students to study “Fundamental Knowledge of the Party,” “Party Constitution,” and “Marxism and Leninism.” At the same time, it also selectively recruits students to become Party members. Nowadays, they will accept anyone who wishes to become a Party member. Since the CCP established its rule, universities started to open brainwashing classes in political education. Until today, various universities offer a complex range of political classes. For example: Basic Principles of Marxism, Marxist Dialectical Materialism and Historical Materialism, Political Economy, Philosophy, Scientific Socialism, History of Communist Party Campaigns, Mao Zedong Thought Study, Deng Xiaoping Theory, the Three Represents [the contribution to Chinese Communist Party doctrine made by Jiang Zemin], Scientific Development and Communist Morality, Human’s Manners, Legal Education,” etc. Such offerings fill up the class schedules of different grades in universities. I still remember that within more than 2,300 course credits, these kinds of political courses took up 300 to 400 credits, far exceeding the major core courses and major subject courses. There is one must-do monthly task in almost all universities, i.e., the “thoughts analysis meeting.” The meeting is held by “party committee chairman (vice chairman).” Party cadres like “coordinators of the Party” and “chairman of the league committee” attend. The “lower level” reports to the “higher level” and analyzes the thoughts and minds of different students, youth teachers, and other staff. The Chinese Communist Party (CCP) has ruled China for more than 60 years, relying on violence and lies to remain in power. Through manipulation of the educational system—in particular through “political education”—the Party seeks to control the souls and spirits of students. The harm this has caused extends back a few generations; therefore, sweeping out the effects and poisons of the “party culture” is not only a very difficult project, but must be a very systematic and urgent one as well. I have been teaching in mainland China for 35 years. I am a teacher by profession, and my specialty is youth psychology research. I have worked in elementary schools, middle schools, and universities. I have experienced serious emotional and spiritual persecution in different periods of time under the CCP’s rule. Therefore, I consider myself to be in a position to tell young people just how “Party culture” affects them and in what aspects. The tactics used by the CCP to force students to devour their souls are many, varied, and insidious. From kindergarten to the university, the tactics and purposes of the CCP-instilled “Party culture” are all the same. First of all, the CCP designates all young people as the “heirs of communism.” Consequently, 300 million youth must take the CCP’s guiding principle of “fighting for communism throughout their life” as their goal and guiding principle. It clearly aims to control their hearts and souls, spirits and wills. Without exemption, 300 million young people must join the regime’s related political organizations. Children over seven years old must join the “Communist Young Pioneers” (CYP). They must raise their fists to pledge to “always be prepared to fight for Communism!” They also become the next level up in the reserve force of the “Communist Youth League” (CYL) . Especially today, the CYL forcefully recruits youths of suitable age to join the league. The CYL then becomes the reserve force for the CCP. It can be said that “Party culture” is systematically feeding doctrine to these young people throughout the CYL’s activities. Its members must sincerely pledge to receive its influence. Universities and colleges in mainland China have all systemically established “league committees” (Full name: “Chinese Communist Party Youth League Committee of such-and-such). These claim to be the “Party’s powerful assistants.” However, in actuality they are the Party’s powerful thugs. The party committee’s control over university students is mainly operated through the League Committee. Today, League Committees in universities cooperate with the University’s Party Committee to execute its plans to recruit new Party members. It uses different kinds of political benefits to attract and force students to join the Party to increase Party membership. At the same time, it cooperates with the “propaganda department” and “political counselors” in different classes to influence students’ political views and perceptions. A Chinese spokeswoman is defending the Chinese government’s bloody 1989 crackdown on demonstrators in Tiananmen Square and says China has taken the correct development path in the 21 years since then. On June 4, 21 years ago, Chinese government troops moved in to crush a student-led demonstration that had been growing on Beijing’s Tiananmen Square. Hundreds, perhaps thousands, of people were killed — most of them protesters and other bystanders. At a regular briefing Thursday, Chinese Foreign Ministry spokeswoman Jiang Yu stressed that the Chinese government has already made what she describes as a “clear conclusion” about the 1989 crackdown. Beijing’s official verdict is that the 1989 demonstrations were a part of a counter-revolutionary rebellion. The protesters had been demonstrating for weeks. They were calling for more political openness and decrying corruption. Bao Tong is the highest-ranking person to have spent time in jail for supporting those in the government who, at the time, wanted to talk to the students, not shoot them. He is 77 years old. Bao, who spent seven years in prison, says he sees no new developments in the Chinese government that would indicate a change of verdict. 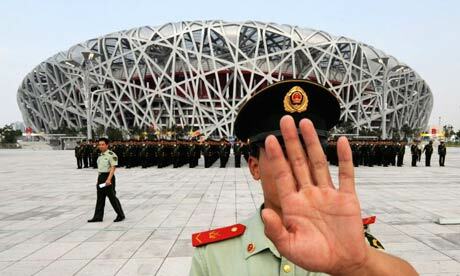 Twitter is among the websites that are blocked by the Chinese government. Meanwhile, another group, called Tiananmen Mothers, issued what has become an annual open letter to call for a more open accounting of the government’s 1989 crackdown. The group is made up of families of the victims. In August 2009, then-15-year-old (Qu) Jianguo (曲建国) was diagnosed with bone cancer. The boy, a resident of Laishui County in Hebei Province, had been experiencing severe pain in his legs for several weeks. As the pain intensified, his family took him to multiple local doctors. Finally, Jianguo sought help at the Jishuitan Hospital in nearby Beijing where he was diagnosed. The doctors said his condition would likely be fatal. At a cost of over 150,000 Yuan, Jianguo’s family reportedly exhausted their savings to pay for the chemotherapy. His father took up a collection from their town, and even Jianguo’s school pitched in to help with the costs. But in October 2009, the money ran out. Jianguo was sent home, and his cancer persisted. Two of Jianguo’s great aunts were practitioners of Falun Gong, however, and suggested that he look into the practice. They gave him Falun Gong books and taught him the exercise movements, and soon Jianguo was performing them diligently. Jianguo’s experience is not uncommon. Meditation, spiritual, and energy practices are widely acknowledged in China and elsewhere to bring health benefits. Specifically, in the case of Falun Gong, surveys conducted among Chinese adherents in the late 1990s and subsequent anecdotal evidence testify to widespread reports of improved health, balance, and a more positive worldview. By March, 2010, Jianguo, now 16, wrote that the pain in his legs had disappeared. He was walking normally, and was preparing to go to back to school for the first time in months. 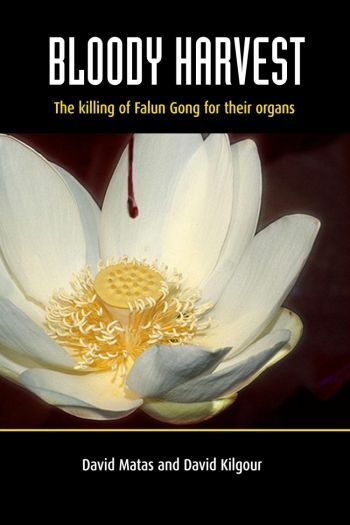 Jianguo sent his story to an overseas Falun Gong website, Minghui.org, stating his desire to let other Chinese people know how much he had benefited from the practice. “Disregard the [Chinese Communist Party]’s lies, and know that Falun Dafa is good!” he wrote. News of Jianguo’s recovery spread quickly through his hometown. Chinese officials worried his story was undermining a decade of official propaganda which sought to portray Falun Gong as nefarious and deserving of brutal suppression. Authorities at the nearby Baoding City 610 Office took note of Jianguo’s story online and ordered the Laishui County 610 Office, police, and school administrators to launch an investigation into Jianguo’s case, reportedly looking for anything that could be used to discredit his account. HONG KONG— Students and teachers at a high school near the Tibetan city of Shigatse have been told to delete certain popular Tibetan-language songs from their cell phones after they were designated “unhealthy” by local education officials, according to its Web site. The school announced recently that owing to the “increasing complexity of separatism,” a list of 27 popular Tibetan-language tracks had been banned, whether in audio or video disk format, or as digital media files on people’s cell phones. “Staff and students must not have any of the above songs as their mobile phone ringtone,” an April 21 statement posted on the school’s Web site, but since removed, said. “If you have any of these songs as your ringtone, please will you delete them; if you own any of the above discs, please will you destroy them by melting or burning them,” it added. It said the school’s Communist Party committee, the education and politics department and the Youth League branch would be carrying out clean-up campaigns targeting the banned songs. “Anyone possessing the illegal music or videos will be severely dealt with,” it warned. BEIJING — Thirteen vocational students were hurt in China Wednesday — including one who had a hand chopped off — when they were attacked by youths with cleavers, after a string of violent school assaults. The incident just after midnight on the southern island of Hainan comes after a series of savage attacks at schools and kindergartens around the country that have left 17 dead, including 15 young children. At around midnight, students at the Hainan Technology and Vocational Institute in the city of Haikou got into an argument with the youths as the students held a barbecue near their school, the Xinhua state news agency said. Four students were injured in the initial clash but a group of youths stormed into the school’s dormitory two hours later, attacking nine more, it said. According to the China News Service, one student had a hand cut off during the clash, while the others were slightly injured. There was a history of bad blood and altercations involving students at the institute and the local youths, the report added. Vocational education is generally for students in their late teens or early 20s. March 23: Zheng Minshen in Nanping City, Fujian Province (South China) waited outside a school gate with a knife about 30 centimeters long, killing eight students and injuring five. 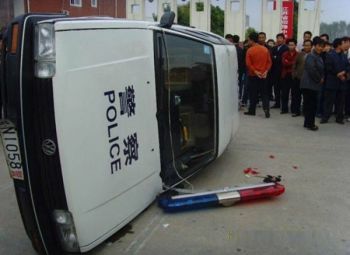 April 12: About 400 meters away from the Xizhen Elementary School of Hepu County, Guangxi Province (South China), an eight-year-old student and an elderly woman were found dead, and another five were injured, including two students, a toddler and a middle-aged couple. April 28: A man ran into an elementary school in Leizhou City of Guangdong Province (South-east China) with a knife, and injured 18 students and a teacher. The resulting investigation showed that 33-year-old suspect Chen Kangbing was a teacher at another public school in Leizhou City, on “sick leave” since February of 2006. April 29: Xu Yuyuan broke into a kindergarten affiliated with Taixing Township of Taizhou City, Jiangsu Province (East China), stabbing and killing 32 people. April 30: 45-year-old Wang Yonglai of Shangzhuang Village of Weifang City, Shandong Province (East China), forcibly entered Shanzhuang Elementary School on a motorcycle, carrying a hammer and gasoline. He wounded five preschoolers with the hammer, and then killed himself via self-immolation using the gasoline. May 12: A cleaver-wielding man broke into a kindergarten in China’s Shaanxi Province (Northwest China), killing nine and injuring eleven before returning home to commit suicide.